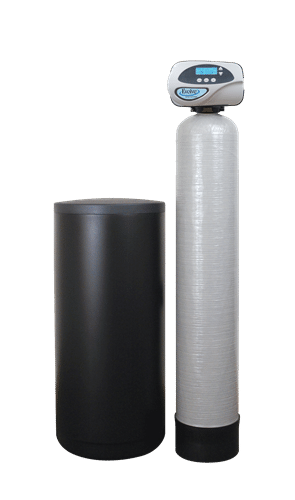 We have noticed a drastic improvement in our water quality and our salt and water usage after purchasing the latest Evolve RC split tank softener and filter system. 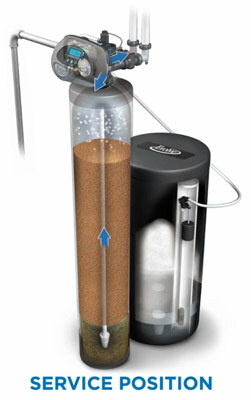 It�s great to only have a single unit now instead of two separate ones to handle both the hardness and city chlorine. Having the Wripli WiFi feature has really opened our eyes to how much water use within our home. Highly recommend! Leave a review for EVRC! With split-tank technology, the EVRC water softener offers double the efficiency in one unit, effectively safeguarding your plumbing while eliminating unwanted tastes and odors. Its high-performance resin and activated carbon configuration assure pure and soft city water. 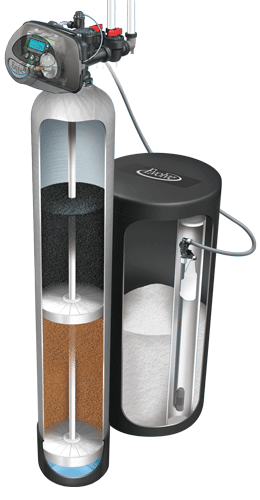 If you're interested in a softening solution that also improves the taste and smell of your water, contact your local dealer today! While cities are responsible for removing harmful elements in your water, they don't account for calcium and magnesium. When these elements dissolve, they cause mineral buildup which lowers the efficiency of your appliances and your home's overall performance. The EVRC system from Evolve® provides a high-performance city water solution that does more than remove hard water. The EVRC softener also eliminates the foul tastes and smells associated with city water.